New York (TADIAS) — The U.S. House of Representatives has overwhelmingly voted in favor of approving a 10-year extension of the African Growth and Opportunity Act (AGOA). Lawmakers from both parties supported the legislation during a vote held on Thursday, June 11th, but the Senate still needs to pass the House Bill before President Obama can sign it into law. The campaign to extend the bill was led by a “combination of AGOA stakeholders that included African governments, the African Union, the African Diplomatic Corps, members of the U.S. and African private sectors, members of the African and U.S. civil society, countless members of the Diaspora as well as the Obama Administration — all of whom spoke to members of Congress about the significance of AGOA and its critical role in strengthening commercial and economic relations between the United States and the nations of Africa,” Bass said. 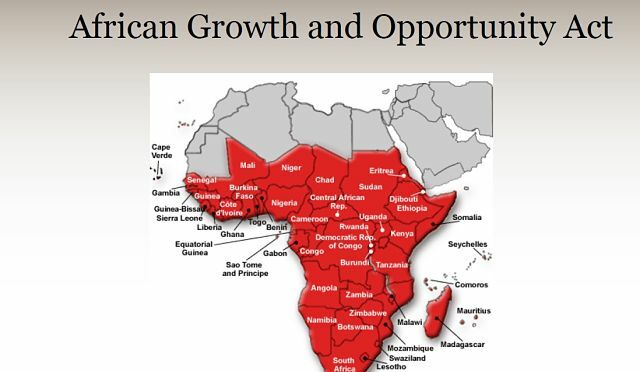 The African Growth and Opportunity Act was first approved in 2000 and is a trade program allowing eligible Sub-Saharan African countries to export duty free goods to the United States.